BaccaratWinners: Online Baccarat BaccaratWinners > Baccarat: The New Blackjack? Baccarat has been played in American Casinos since the late 1950´s, when Tommy Renzoni, the Father of American Baccarat, introduced it to the Sands Casino. 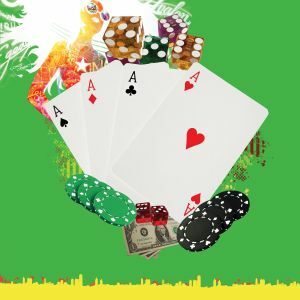 In recent years, with the availability of online Baccarat and free Baccaratand the introduction of some new variations on the game like mini-baccarat, the game has come into its own, actually challenging much more established card games like Blackjack. The name of the game actually comes from France and Italy where it essentially means "zero" because of the fact that the largest value of cards in the deck are worth zero points. The game and the atmosphere of sophistication that has always surrounded it can be traced back to Roman times when the Vestal Virgins played a game of chance with a nine-sided die. The game was held in a highly stylized environment and was used to determine the fate of each Virgin. As the game developed into its current form slowly developed in Europe and wasn't introduced in America until the 20th century. Learning how to play Baccarat is simplicity itself. While the table seats up to fifteen players only two hands are dealt. One hand is called "Banker" and the other "Player". In front of each player are betting positions. The player can chose to bet on the "Banker" to have the highest total or the "Player" to have the highest total. Face cards, tens and aces have zero value. The suit cards from 2-9 have the face value of the card. In other words a two of hearts is two points, and a three is three points. Each position is dealt two cards and the points are counted to see if one more card is necessary. The object is to get as close to nine points as possible without going over. The reason for this is that on any point count over ten is calculated on module ten which means that 15, for instance is five points. Players can also bet on a tie, which pays much greater odds but also increases the houses chances of winning. The great thing about this game is that, compared to most casino games the houses edge is very small. The highest will be on a tie bet and that is only about 5% and the other possible bets will give the house less than a 1 ½ % edge. Players should always be aware that the number of decks used by the house will drastically affect both the odds and the houses edge.